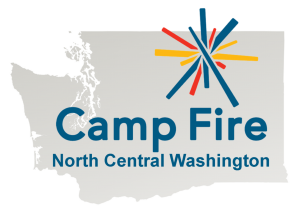 Each program level in the Camp Fire program teaches responsibility, decision making, and other valuable skills through a variety of projects centered around the five focus areas call Trails. Trails are general areas of interest. Contains activities designed to develop mental and physical skills. Focuses on subjects such a sports, science and cooking. Youth continue Camp Fire’s legacy by performing community service and educating the public about Camp Fire as well as having a birthday party for Camp Fire. Youth becomes a pen pan and learns baout written correspondence. Youth learn what a veteran is and about the sacrifices people in the armed service make. Youth make Valentines for veterans, stationary for use by those currently oversees on active duty, and/or thank you notes for soldiers or veterans. Youth learn the basic concepts of ecology while reconnecting with natural processes that govern life on earth. Youth explore what peace is, what a peacemaker is, how to be a peacemaker and what a world of peace can be. Each year this project focuses on a different art medium including fiber arts, photography, mixed media, etc. and includes meeting professional artist or seeing the art form used in the community.